I led a team of three Senior Writers to oversee brand voice impact at every touch point. As their manager, I helped them develop their careers, set goals, improve cross-functional collaboration, review and approve work, and provide strategic editorial direction, all while updating customer-facing content to balance the unique buyer and seller needs of the business. I consistently provided strategic solutions for digital and print brand marketing campaigns that exceeded expectations, including the 2017 Earth Day campaign that generated over $2 million in three days. As part of a small team of writers at this secondhand site, I led the editorial revamp thredUP’s brand voice and guidelines, infusing copy with bold personality for more than 8 million buyers and sellers. By partnering with Design, Brand, Analytics, Product, Engineering, Opps, and Customer Service, I was able to concept and test new storytelling formats that consistently beat prior versions of monthly emails, social posts, and data-driven direct mail and direct response ads. In addition, I strategized and helped create content for three store openings, a curated box launch, maintaining 12-month paybacks on Facebook DR ads, and a winback email campaign that generated over $30,000 within its first month. I was the copy lead on a long-term platform project for the experiential design agency’s main client, Apple. Key responsibilities included creating an editorial style guide to help streamline content production, increase readership and improve click-through rates using SEO copywriting, and help build effective teams by assisting in the creative hiring process. I also helped strategize content and position copy for some of the top brand pitches for the agency in 2016, including writing digital marketing ads for Comcast’s exclusive online streaming series that generated a 40% mobile lift month over month. As a Creative Writer, I was responsible for creating and streamlining editorial content for omni-channel marketing campaigns, product launches, and frictionless user experiences. I supported editorial leadership to create innovative storytelling moments for two of the beauty retailer’s top-performing campaigns of 2016, Color Correcting and the SEPHORA COLLECTION rebranding. Partnering with Design, Marketing, Merchandising, Production, Engineering, and outside vendors, I strategized brand messaging for monthly campaigns, weekly site updates, promotional emails and landing pages, 100+ brand boutique pages, print and digital ads, and innovative in-store digital experiences, including the Beauty Workshop's interactive Beauty Board and self-guided iPad tutorials. The California-based airline hired me as a Freelance Senior Copywriter to write and develop weekly A/B-tested content for a growing email audience of 1.5 million. I liaised with Email, Digital, Legal, and external business partners to write and edit B2C copy and provocative branded content for multi-platform marketing campaigns and promotions. Additionally, I wrote compelling brand copy moments to support PR outreach and marketing campaigns for the launch of Virgin America’s groundbreaking in-flight safety video. 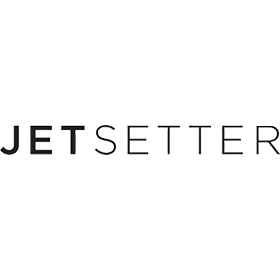 As an Assistant Editor and Editorial Producer at this eCommerce travel company, I wrote weekly travel features and hotel reviews for Jetsetter’s 20 million members. I worked closely with Marketing, Sales, and Engineering to create compelling copy for promotions and new digital product launches—including writing, editing, and producing content for a member-inclusive iPad magazine. When I first started as an intern, I established fact-checking guidelines for the flash-sale and retail production. Four months later I was hired as an Editorial Producer to support a small team of editors to assign and edit work to a team of 200 correspondents.